Preparing several meals at once may seem daunting at first, especially if you’re new to the idea of portion control, meal prep recipes, or cooking with healthy ingredients. But with a little planning and practice, you’ll see just how helpful it can be to get your clean eating on track. There are plenty of helpful tools to help you get started with meal prepping, time-saving tips to make meal prep easier, and advice from meal prep pros to inspire you. You may need to stock your kitchen with some meal prep tools like a slow-cooker or extra food storage containers. 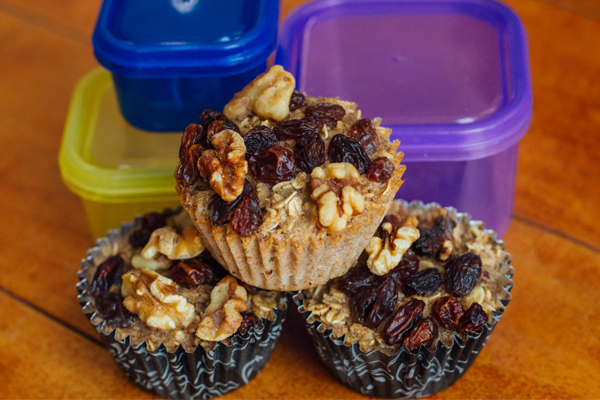 And don’t be afraid to start small: Maybe get your toes wet by packing a lunch to take to work a few days a week or by making a few simple snacks to have on hand when afternoon cravings strike. If those photos of full-week meal preps look too complicated, try a quick buffet-style meal prep instead. The key to winning in the meal prep game is to have a plan and keep it simple. And if you want to do a deeper dive into meal prepping, portion control, and how to establish sustainable healthy eating habits, then check out the Ultimate Portion Fix nutrition program from Autumn Calabrese. Wherever you are in your meal prep mastery, one of the most important factors to ensure your success is making simple food that you enjoy eating, and changing things up every once in a while so you don’t get bored. Choose meal prep recipes that have a handful of ingredients, cook quickly, or can be made in a slow-cooker, and make large quantities. Complement recipes that take more time to prepare with wash-and-go fruit, no-cook meals like salads, and easy snacks like Shakeology, Greek yogurt, or hard-boiled eggs. If you’re happy with your meal prep menu, save the grocery list and recipes for future weeks week so you can skip the planning and head straight to the store. Here are 19 simple meal prep recipes. Many of them make more than enough for one week or can be easily doubled. Freeze extra portions for future weeks and you’ll be ahead of the game! 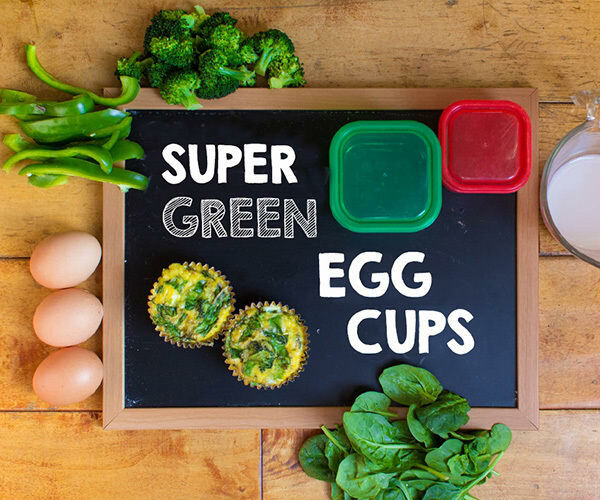 Egg cups are the rock stars of meal prep. They take just minutes to put together, a few more minutes to bake –and bam! – you’ve got protein-rich breakfasts or snacks for the whole week. Get this egg cup recipe, plus two more. 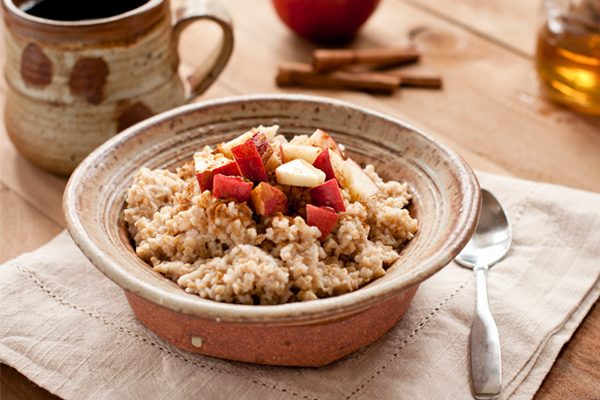 Steel cut oats are the healthiest choice for oatmeal, but they take a long time to cook and need to be watched so they don’t burn. Who has time for that every morning? 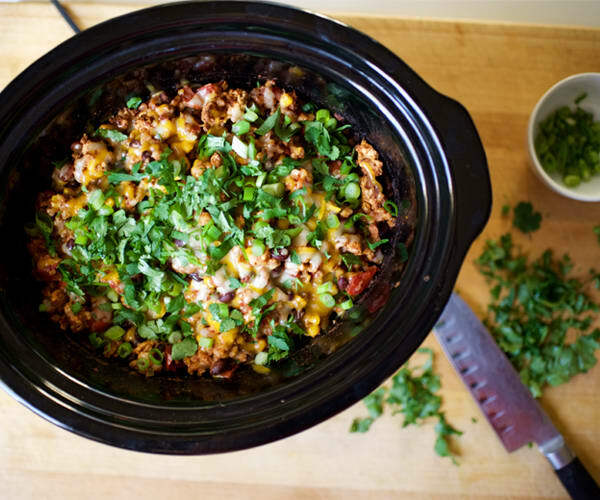 Cooking them in a slow cooker is a terrific, time-saving solution. You can make enough for the whole week (or more!) in less than 10 minutes (plus cooking time). Click through to the recipe for a pro tip for freezing extra portions! 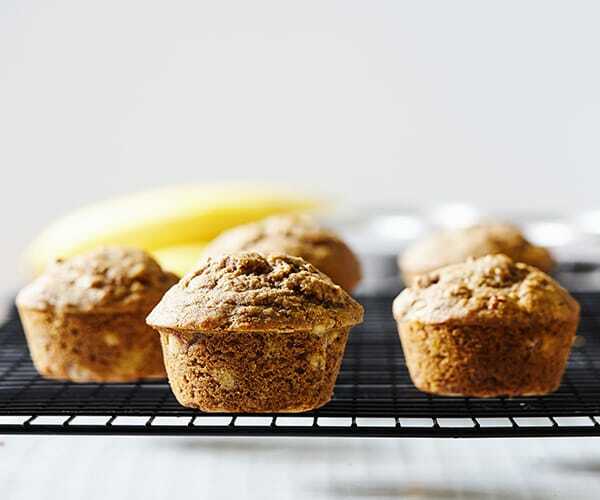 These delicious, whole grain banana muffins are healthy and satisfying enough to eat for breakfast. Plus, they taste like banana bread! They freeze well, so one batch can make enough breakfasts for two weeks, or any time you’re scrambling for a bite to eat on a busy morning. 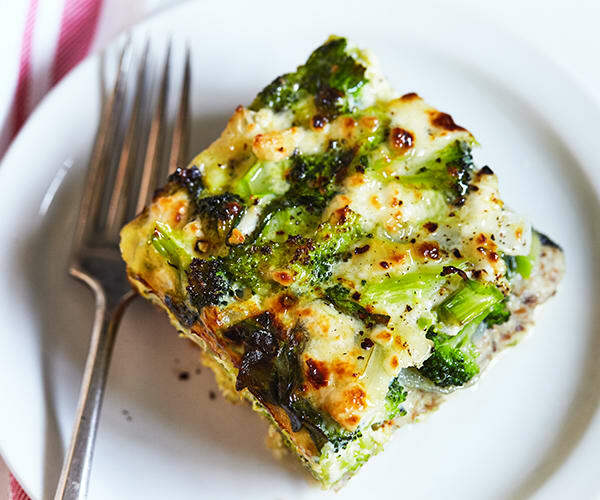 Though it seems like a fancy brunch dish, this Spinach and Broccoli Strata doubles as an easy meal prep recipe. 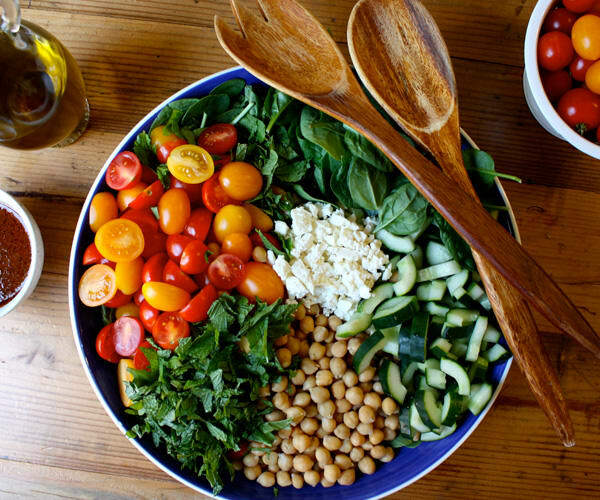 Make it once to see how it’s done, and then confidently mix things up with your different combinations vegetables to keep your meal prep menus exciting. Extra portions can be frozen and reheated in a microwave. Unlike most salads which get soggy within hours after you add the dressing, this leafy green version stays fresh for days even after you add the paprika dressing. Keep your spinach crisp by adding the dressing just before serving. It makes for a filling lunch that’s great year-round. 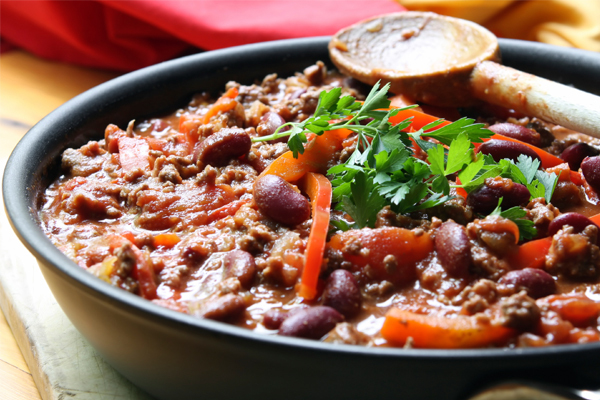 Spice up your menu with this bold habanero chili recipe. Milder palates can substitute jalapeño or even red bell pepper. This vegetarian dish has 31 grams of protein and only 231 calories per serving! 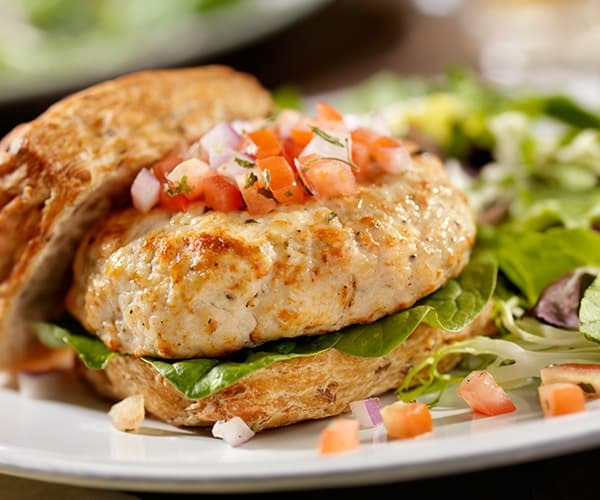 This is one of the Beachbody Blog team’s favorite recipes. It’s extremely simple, and the results are absolutely delicious. This revamped version of enchiladas uses healthier ingredients to create the beloved classic flavors in this dish. When the farro slow-cooks with fire-roasted tomatoes in enchilada sauce, it tastes just like corn tortillas that have been dipped in sauce and baked. But the best part of this recipe might be that it makes 10 servings. Meal prep for two? 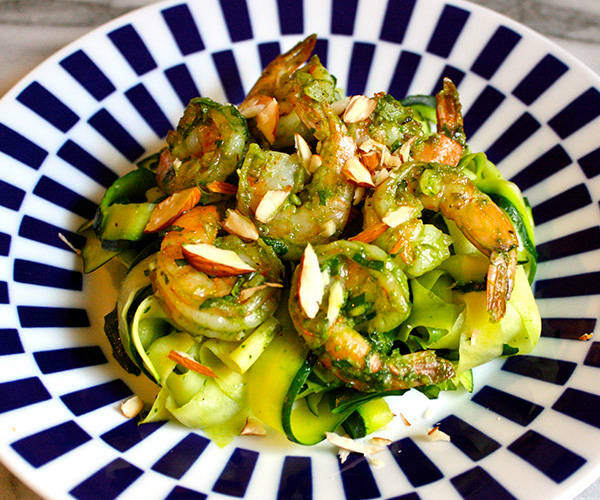 Zucchini noodles, or “zoodles,” deserve a place in your meal-prep rotation. They’re a tasty, low-carb alternative to pasta and once they’re cooked, they keep their al dente texture for several days. Tossed with pesto and garlic shrimp (or chicken if you prefer), this will be a lunch or dinner to look forward to all week. 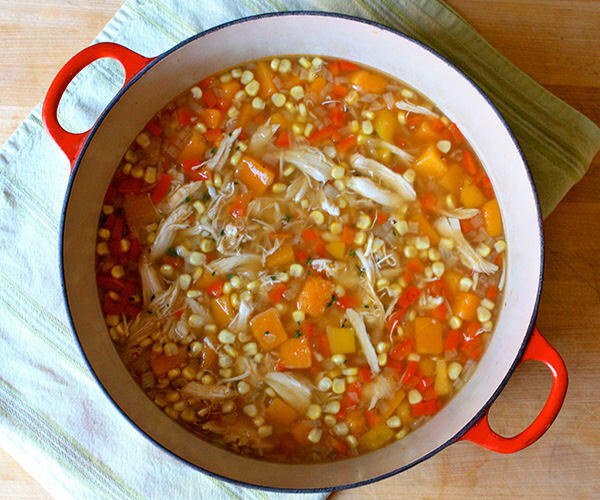 Butternut squash and corn give naturally sweet flavor to this savory chicken soup. Using rotisserie chicken makes it ideal for meal prep, and you can use the rest of the chicken for other meals. This recipe makes 10 servings, so you’ll have extra to freeze for a future week. This colorful side dish packed with vegetables is hearty enough to be your main course. Get creative and top it with a sunny side up egg, or serve cold as a topping on salad greens! Everyone loves a good burger! 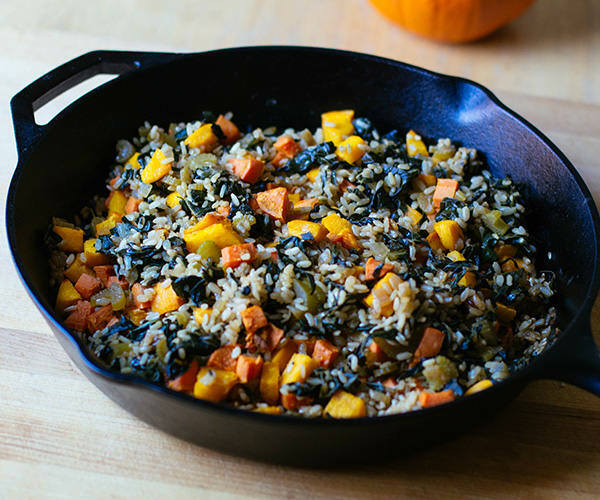 Turkey patties are a great choice for meal prep because they can do double-duty as the protein in a salad or served with our Roast Pumpkin, Sweet Potato, and Brown Rice Pilaf recipe. Pro tip: Double this recipe and cook half for one week and freeze the uncooked patties in individual plastic bags for another week. There’s lots of good stuff in this perfect-for-work salad. 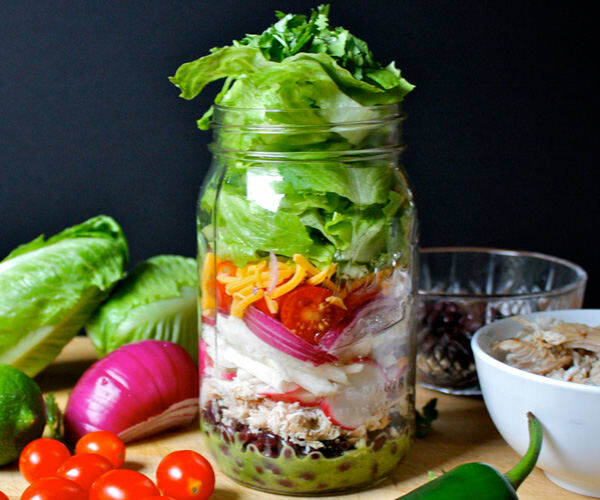 Putting the dressing and heavier ingredients at the bottom and the lettuce at the top ensures that this salad will stay crisp until you are ready to eat it (just make sure to store the jar upright). Buying rotisserie chicken makes this a cinch to put together. If you have extra cherry tomatoes, jicama, and radishes, save them for a snack to dip in the White Bean and Roasted Red Pepper Hummus below. 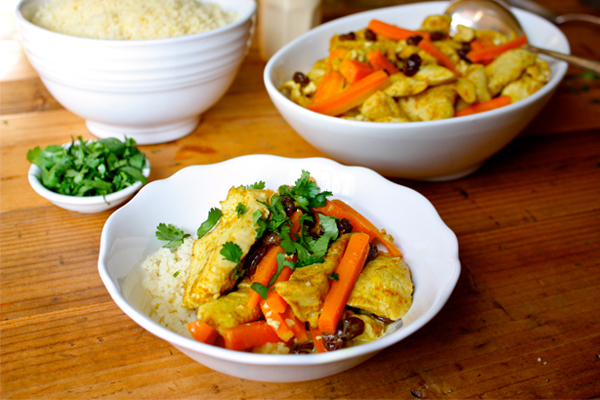 This recipe combines two contrasting flavors to create one incredible dish. 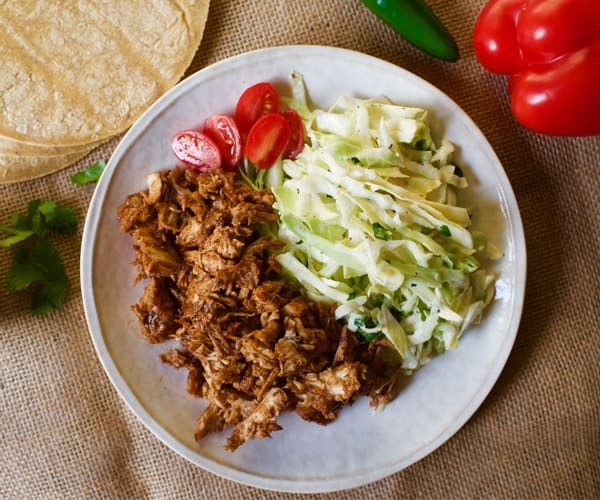 The adobo and chipotle-spiked barbecue sauce complements the refreshing cilantro and slaw, so it’s not too spicy and it’s not too light — it’s just right. Shake up your snack game, or make any sandwich more interesting, with our super-flavorful twist on hummus. 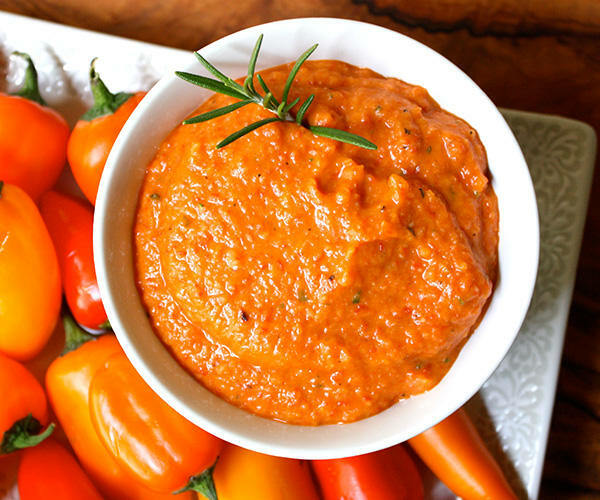 This garlicky, roasted red pepper hummus is absolutely delicious, and you can make it in just a few minutes, no cooking required. 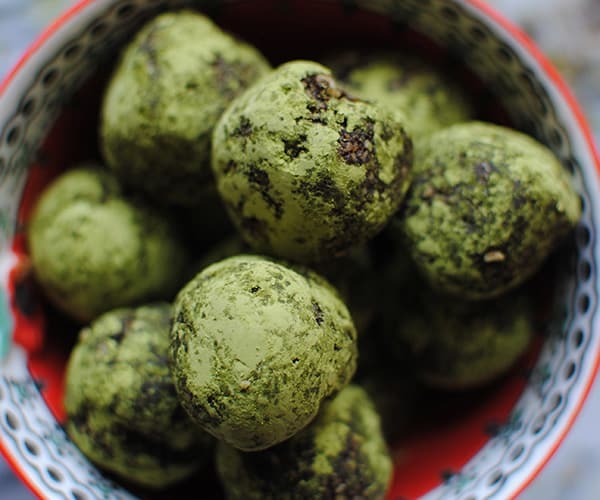 Here’s an easy matcha recipe that makes a great little snack you can take almost anywhere. They’re not sweet, but they are satisfying. Only 56 calories each. 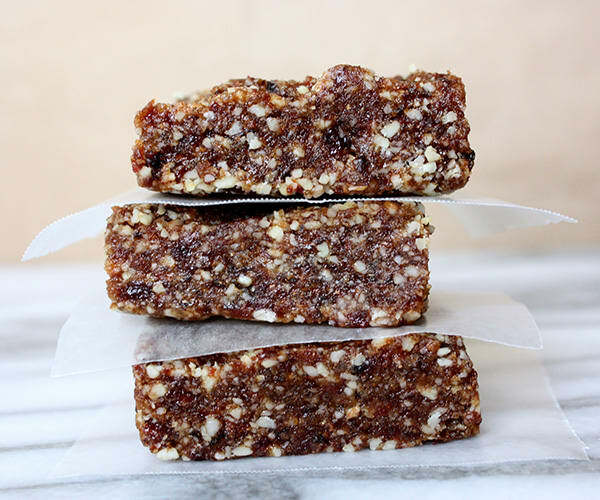 This healthy snack can be made with your choice of dried fruits, nuts, and seeds and takes less than 10 minutes to make. 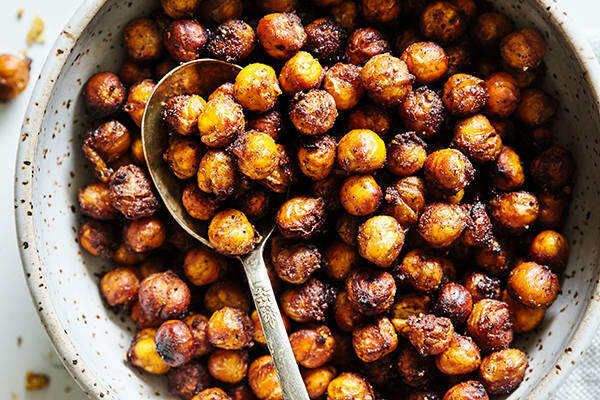 Think of this addictive, crunchy snack — and incredibly simple to make! — as a healthy, protein-packed chip substitute that’ll power you through your afternoon.